Sleep 12 - 14 persons comfortably in this home with 6 - 7 bedrooms, of which 4 are at ground level. The indoors and outdoors blend seamlessly in this home designed by Caleb Hornbostel, who won The Museum of Modern Art's architectural competition, beating Eero Saarinen and Louis Kahn. Hornbostel is renowned for pioneering "passive solar" and using natural materials. 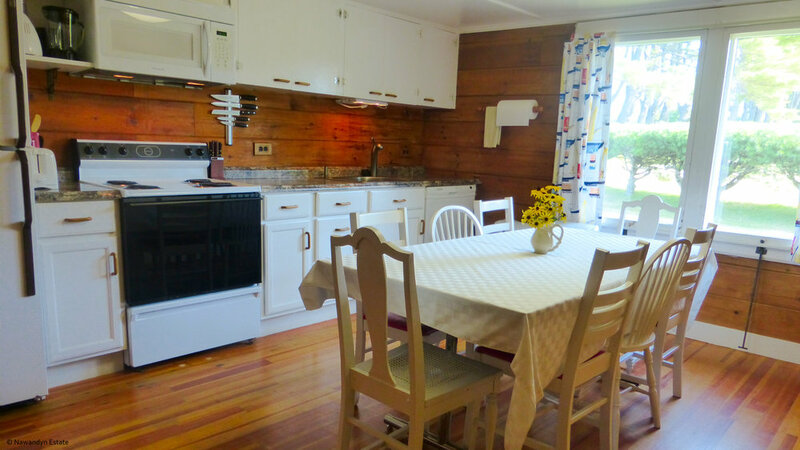 At the Guest House, you can dine by candlelight on the screened porch as the setting sun paints the sky, listen to nature's serenades, explore the gardens, smell the flowers, watch turkeys wander and deer frolic and more.